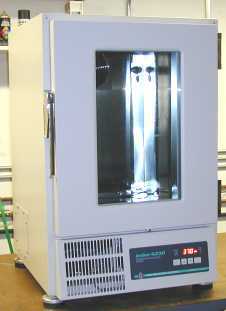 Description: New Brunswick Scientific Innova 4200 Incubator Shaker. Speed Range: 25-400 rpm, Temp. Range: 5 deg C above ambient to 80 deg C (minimum setpoint is 4 deg C), Platform size: 18"x 18", accepts up to 6L glassware. Unit comes fully refurbished and tested.